On behalf of the Committee to Advise the Moderator, I am pleased to announce that the name of the Rev. 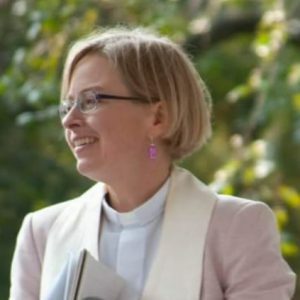 Amanda Currie, minister of First Presbyterian Church in Regina, Saskatchewan, will be placed as the sole nominee to be Moderator of the 2019 General Assembly, which takes place June 2–6, 2019, at Wilfrid Laurier University in Waterloo, Ontario. Moderator Elect: The Rev. Amanda Currie, B.A.Sc., M.Div.